Austria is located in central Europe and is bordered by Germany and the Czech Republic to the north, Hungary to the east and Italy to the south. The nation is known for its rich history, mountain villages, and being home to many historical figures like Mozart and Freud. Austria is a very popular destination for tourists. If you are a not an EU citizen, you may need a visa to enter Austria. Before applying for a visa for Austria you will be required to book an air ticket as proof you are planning to go. You may also need to provide proof of sufficient funds to cover expenses during your stay and a valid passport (at least 3 months) in order to apply for a visa. If you are an EU citizen, you will not be required to get a visa. But you will need to provide your European ID (must be valid for at least 3 months) before booking your ticket. As there are many different visas available, you will need to decide which visa best fits your travel needs before booking your air ticket to Austria. Under the EU laws and regulations, there is no need to declare your goods if you are carrying less than 800 individual cigarettes, 400 cigarillos (max. 3 grams each), 200 cigars, 1kg of smoking tobacco, 10 liter of spirits over 22 %, 20 liters of alcoholic beverages less than 22 %, 90 liters of wine (though no more than 60 liters of sparkling wine), and 110 liters of beer. Passengers older than 17 years old and arriving from non-EU locations are allowed to bring without customs duty 200 individual cigarettes, 100 cigarillos (max. 3 grams each), 50 cigars, 250 grams of smoking tobacco or proportional assortment, 1 liter of spirits over 22%, or non-denatured ethyl alcohol with more than 80% volume, 2 liters of spirits or aperitifs made of wine or similar beverages less than 22% volume, or sparkling wines or liquor wines, a proportional mix of these products; and in addition, 4 liters of wine or 16 liters of beer, medicines in proportion to the traveler's needs (for all passengers), and other goods (for air travelers), up to a total value of EUR 430 per adult or EUR 150 if aged under 15 years old. The Vienna State Opera is a definite must-see while visiting Austria! Though most people like to go dressed in formal wear, some like to go in jeans so you can go any way you like. With outstanding performances, it's hard to believe that the ticket prices are so cheap. Tickets can be bought for around EUR 3 to 4! I really enjoyed my visit to the Vienna State Opera. The building itself is beautifully designed, very elegant, and luxurious. And the performances were beyond anything I expected. I'd definitely go again! Amazing Hotels, Exquisite Restaurants, and Endless Activities in Austria! Austria has some of the most beautiful hotels I have ever seen. On my last visit, I stayed at the Ruby Marie Hotel. The interior was very modern and stylish, and the hotel was located near all the local shops, markets and bars. The restaurants in Austria are the best. The quality of food and service are just amazing. Though I'd usually prefer Paris, the city of love, as my favorite vacation spot, Austria has become my new favorite. A great time to visit Austria is the summer. During the summer season, Austria hosts many famous music festivals. Experience the best music performances from around Europe, right in Austria! It's surrounded by, blue water, lovely valleys and pretty villages. I went to the village of Schwarzenberg. When I booked my ticket to the Schubertiade festival, I have really enjoyed my time there. 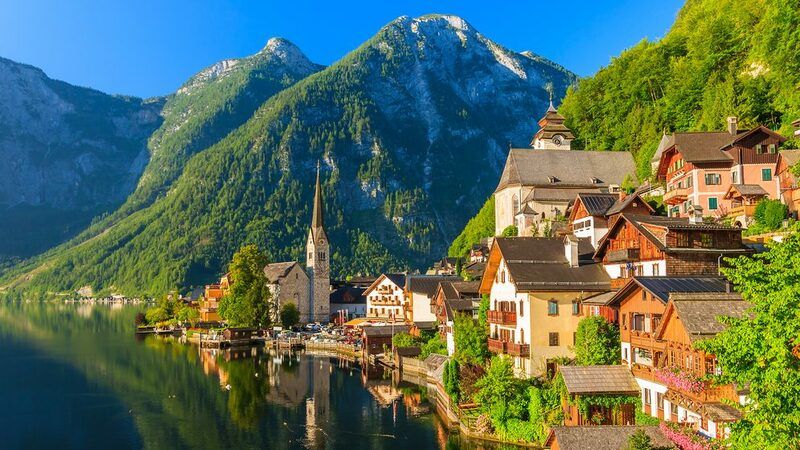 A travel to Austria will be an amazing milestone in your life timeline. After booking my air ticket to Austria, I thought of changing my ticket to a different city in Europe. But after arriving, Austria far exceeded my expectations. The breakfast at the hotel was appetizing. They offered delicious bread, cheese, milk, fruits and berries, as well as fresh juice and tea. I highly recommend visiting in the summer time. The weather's great and there are many summer festivals going on. My wife and I decided to book a ticket to the Wachau, Austria, which is a popular tourist attraction destination in southern Austria. It's well known as the palace where Duke Leopold held the British King Richard, as a prisoner for several years. Wachau is also known as one of the best places for wine. The area is also home to more than 400 historic monuments and is always busy with tourists. Q. What is prohibited in Austria? A. Austria has recently prohibited Muslim women covering their full face by wearing the full-face veil. An EUR 150 fine will also be applied to women wearing niqab and burqas in public places like universities, courts and in public transportations. Q. What is the best seasons to book a ticket to Austria? A. Summer is the best time to go. The weather in Austria during this season is cool and quite refreshing. And unlike other cities in Europe, it is relatively cheap to book an air ticket to Austria in the summer. However, tickets get expensive around August. This is most likely due to the Salzburg Festival, a music festival that takes place in August. So if you are heading to Austria in the summertime, try booking your ticket in advance. Q. How long I can stay in Austria with a Schengen visa? A. The Schengen visa permits a maximum stay of 90 calendar days per half year. However, if multiple entry visas are issued, you can book your ticket repeatedly to Austria or any other Schengen country. Given its location in central Europe, Austria is known to be a convenient location for traveling to and from. The country is in a crossroad between North, South, East, and West of Europe providing an easy way to travel to other European destinations. Direct flights to Austria include Emirates Airlines, Air France, British Airways, Kuwait Airways, and Turkish Airlines.